My father used to go to “night school” every week throughout my childhood. He had been a Prisoner of War in Poland, having been shot down during the Second World War. Despite this unpleasant experience he was never anti-German and he very much admired their approach to business. He learnt some German during the war and wanted to become proficient. He also spoke enough French and Spanish to get by on, and I am sad to say I did not inherit his ability. But I did inherit his attitude to life long learning and going to classes after work as an act of self-improvement. My mother, too, went to learn flower arranging, upholstery, pottery, watercolours, and braille. So you can see that we all enjoy learning and meeting people. I have tried to encourage my children. When they were small we went to “Family Workshops” which included activities for the children and the adults in the same room, with two teachers. That was bliss. And when she was older Esme went to journalism classes, and sound engineering, and joined me for a term of pattern cutting. Gus and I went to learn about short story writing together. I love the concept of learning together with family members. At the moment, however, I go on my own, and know that I will always meet interesting people, some of whom will become good friends. This term I have done the modelling on the stand course, but it will soon be over and I will sign up for something new. What will it be? I know some readers, especially those that don’t live in big cities, believe that we are spoiled for choice in London. But despite there being thousands of courses I am finding deciding on one that works for me to be something of a challenge. Here are some of the topics I am considering. However I am restricted by the timings – in the week Monday and Friday evenings are best for me as work meetings and events are less common on these nights. There are weekend courses too, but I usually like to relax a bit more at the weekends. So I have been searching by the colleges for a suitable topic. There is a contemporary millinery course at Morley, but takes place on a Wednesday so that more or less rules it out for me. All their other courses in hat making are sadly in the day. 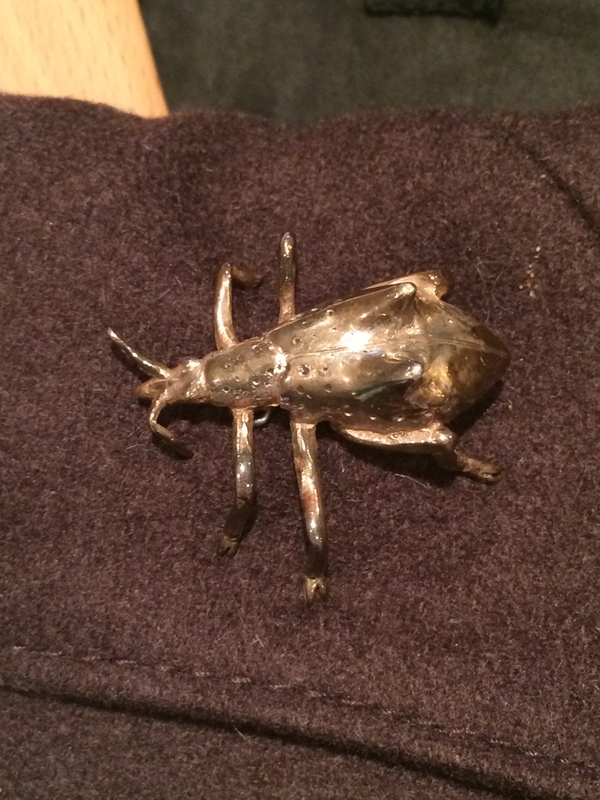 The same problem exists with a jewellery making course at Mary Ward – Wednesdays are just too busy for me. I have considered doing an Art Foundation course at Mary Ward. This involves doing a range of classes. Some of the textile course students who I met last year were on the Art Foundation course. This is a one year course, with two evening a week being required, plus some weekends, and would be very demanding. I have always thought I might do this when I retire, but I feel it would be amazing to do now. I know I would have to do some courses I am not naturally attracted to like drawing, water colours or sculpture, but I always learn more when I do things that I wasn’t originally attracted to. 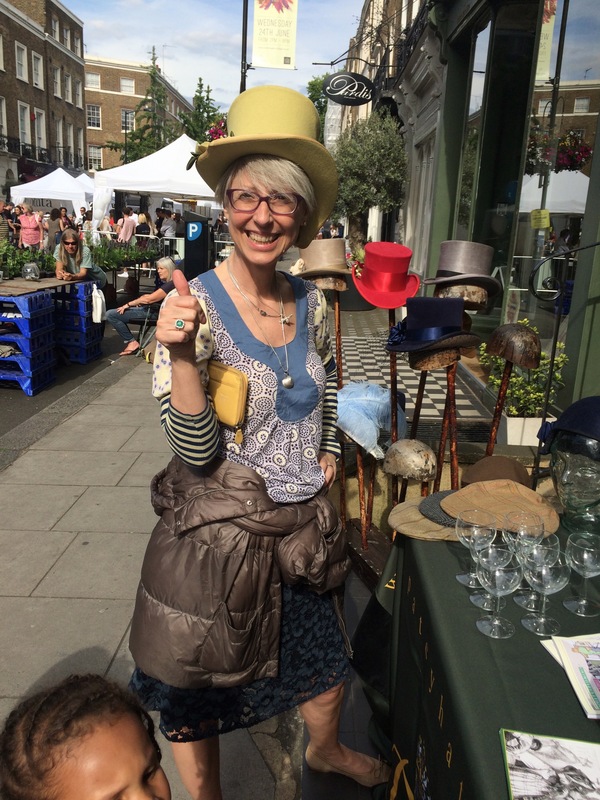 Kensington and Chelsea college do some interesting millinery courses including thermoplastics and fabric hats, both of which appeal, but the dates are no good. I have found a six-week pottery course on a Saturday which might be good if Nick wanted to do a course with me, although it would cut into the sewing time. There are some amazing one week courses available at Central St Martins which is very close to my Kings Cross office. Taking a week off work to study knitwear design, or couture tailoring techniques is appealing, although I actually prefer doing my learning in chunks with a week to think and possibly practice in between. There is a serious tailoring course over 10 weeks, one day a week, at Morley, run by Daniel Kinne. I don’t think I can justify taking the time of work, but if you want a really good course this one is recommended by many people. I have searched in vain for knitting courses. I don’t want a beginners course. I can knit quite well. What I cannot do is knit shapes to make clothes with. 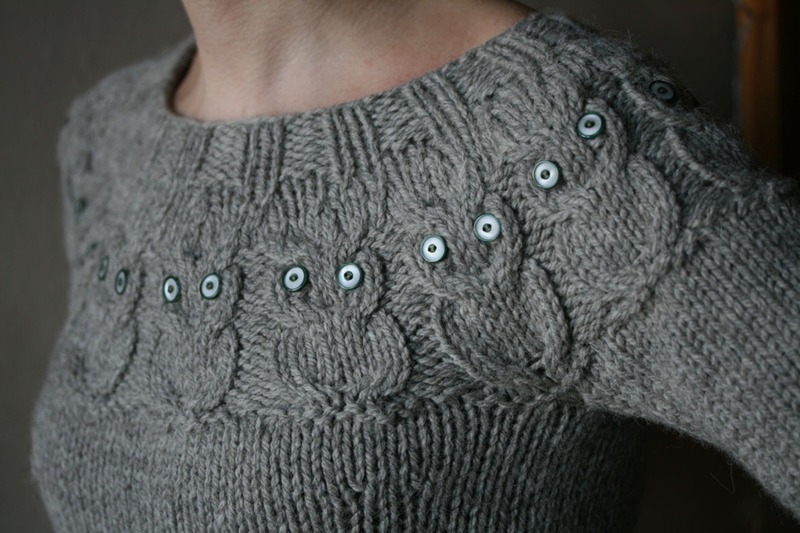 I have never made a jumper or cardigan and want to know how to get the tension, sizing, shaping, fitting, blocking and joining sorted out, with supervision. There are a few of these but they seem to be based in suburbs – and I don’t really want to be travelling home late at night. I also found a great machine knitting course at the CASS, but I know where that would lead. To the purchase of a knitting machine and then my sewing machine would start crying. On Mondays at Morley I could do more draping – skirts with Lynda – which is an attractive option. I have almost completed her draped dress course. I am hovering on Vanda’s Intermediate pattern cutting. This is on a Tuesday night at Morley and comes recommended by my friend Galina. So after hours of searching I think I have narrowed it down to either pattern cutting or more draping on the stand. I will let you know what I decide on. Are you signing up for any courses this autumn? Or do you prefer to learn with videos, from books or just trial and error? I would love to go to classes and meet other people but spare time is sparse. The only class I go to is Yoga on Wednesday nights – I had to carve that time for me. I tend to learn through a combination of online videos and books. Though of late I am happy to learn through trial and error. I’m so pleased you wrote about evening classes. I grew up in an era when there were night classes for almost anything and cheap enough for everyone to afford. I remember in the 70’s I did a course called ‘car maintenance for ladies’, can you believe it. Sadly those days are long gone and the courses have been condensed down and the cost is often prohibitive if you are not on a benefit of some sort. When I first retired I did a course on stained glass for a year in Hammersmith. Whatever course you do make sure it’s one you enjoy. I have taken quite a few night school courses but now the schools no longer have continuing education courses. There are still some at the recreation facilities. So now it is craftsy lessons for me. I did do jewellry making, calligraphy, interior design, sewing, painting, and a few others. I did enjoy meeting people in the classes. In the 70’s there was a local stretch and sew shop where I took many courses, 30 years later I had other friends who took lessons there as well. But we didn’t meet back then. Not sure if you know Anne Power well, but she is always knitting in meetings, and has done for years, a tricoteuse perhaps? She might take you under her wing for some private tuition while you discuss social housing and regeneration? Anne is a great inspiration to me, and a friend. Her knitting in meetings gave me confidence to take up sewing again without being seen as a traitor to feminism! We have talked about the blog over tea at the LSE! We used to have a thriving Adult Education programme here in the sticks, but like everything else it’s sadly dwindled away. I’ve taken pottery, calligraphy and water-colour painting classes, but these days new skills are learned from books or online. However I have promised myself a proper couture sewing class one day, somewhere away from home that needs hotel accommodation! Looking forward to reading about your class, Kate, whichever you choose. Wow, what a lot of research! I envy you the choice, for sure, as there are limited options here. The plus side is that the courses basically select themselves for me, as there are only two courses coming up at the art school here that I could even attend, schedule-wise. The sewing classes are for beginners (making a tote bag or an A-line skirt), so not of interest. Language classes are much easier to find, so I have done those in the past. Good luck with your choice! I really like the idea of millinery..too bad that that doesn’t work with your schedule. Good thinking Mem, and thank you for your feedback. I will be leaving the interior design to my husband, although I have chosen the paint colours! I have more or less decided on learning more about draping as I have found it very exciting. I like the way pattern cutting and draping make my brain work. I do hope you favour the passion over the schedule – but you have plenty of that to spread around your options! I meant to respond re the slippers and the same refelection applies it here – it is about my late grandma Blanche – almost illiterate and taught by herself/every other woman in her life to be super skilled in all manner of crochet, lace, tatting, sewing – and mainly in millinery in which she was apprenticed but then sacked because her pay would have had to go up (plus ca change!) – but she would knit slippers like yours, and all manner of intricate and perfect objects using her instinctive talents. She too was sociable in her work and a good teacher (of me for one). Is there a half-way house between private tuition and a full blown course – maybe asking around via the relevant social media to find interested parties and potential tutors? Learning in groups is so rewarding – good luck with it. Have you ever tried on line classes, like those offered on Craftsy? I have taken a few basic ones and am planning to do some well liked classes on pattern drafting. I do envy you your urban environment, with a whole array of opportunities. Thank you Lyn. I only tried one online class (digital pattern drafting) and I didn’t get on with it very well. I did it with a friend to avoid feeling lonely! I believe some of the Craftsy courses are good, but I actually love meeting people and being able to ask absolutely any question. I’ve been flirting with either a weekend or weeklong weaving class – the machinery fascinates me – and I do love a bit of quality cloth. But like your observation about a knitting machine, I just know I’d end up wanting to buy a loom… And I’m currently trying to hone down my household-detritus not increase it (I’ve been Kondo-ing too – 34 white/grey/black round neck tee-shirts….). I’m thinking maybe I should simply learn to better use the machines I already have – so I think it’s photography for me this autumn! You are already so competent with yarn Jayne and weaving appears to be the next step. But I am with you on equipment. One of the reasons why hand knitting appeals (and running rather than going to the gym) is because you don’t need very much stuff. When I lived over in Warrington I took a class every year – calligraphy, interior design, paint techniques, beading and then several (disappointing) years of dressmaking classes. I have not done any for quite a few years and maybe would stuggle with my work schedule/travel. Mmm. I am rather envious of your choices! Like you, I enjoy the process of ongoing learning. I don’t have the choices you have but do have some availability of classes. I’m prepared to travel but can’t go weekly to a class that’s not near home so a weekend course or consecutive days suits better, though I agree that there does need to be an element of consolidation and practice between lessons. In September, I’m starting the next level of pattern cutting. I booked for draping on the stand – skirts. I enjoyed the draping dresses class and want to learn more about draping. 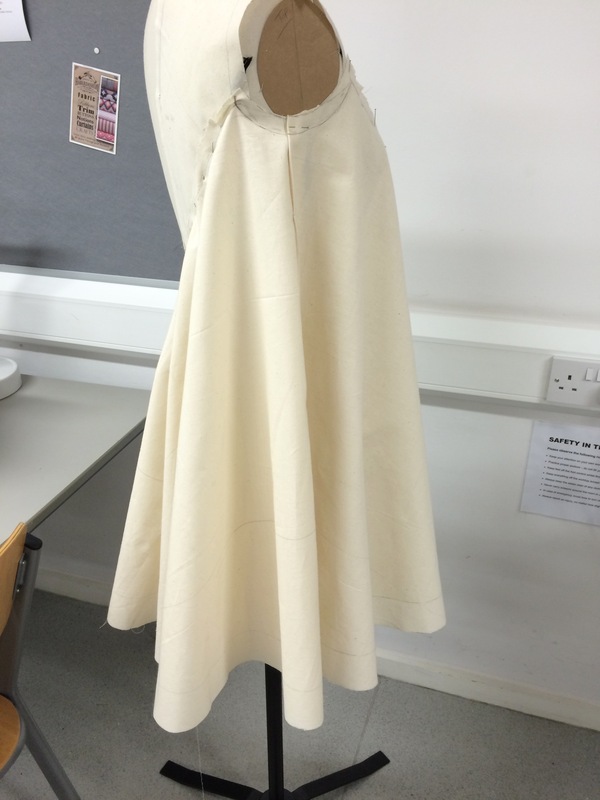 Unfortunately was too busy for the summer school on bias draping. Good luck with Pattern Cutting intermediate, and I look forward to reading about your progress.